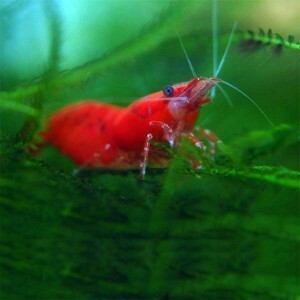 Selectively bred Red Cherry Shrimp for “FIRE” red color! They are terrific algae eaters and will burst with awesome color against any planted or even non-planted tank. The Red Cherry Shrimp is the red color variation of the wild Neocaridina heteropoda. This color variation was originally bred in Germany and started to appear in The United States in the late 1990's.